Before the coming of the European pastoralists, the Yorke Peninsula was the home of the Narungga people, who occupied the land from near Port Wakefield in the east, over to Port Broughton in the west, and all the way down to the southern tip of the Peninsula. 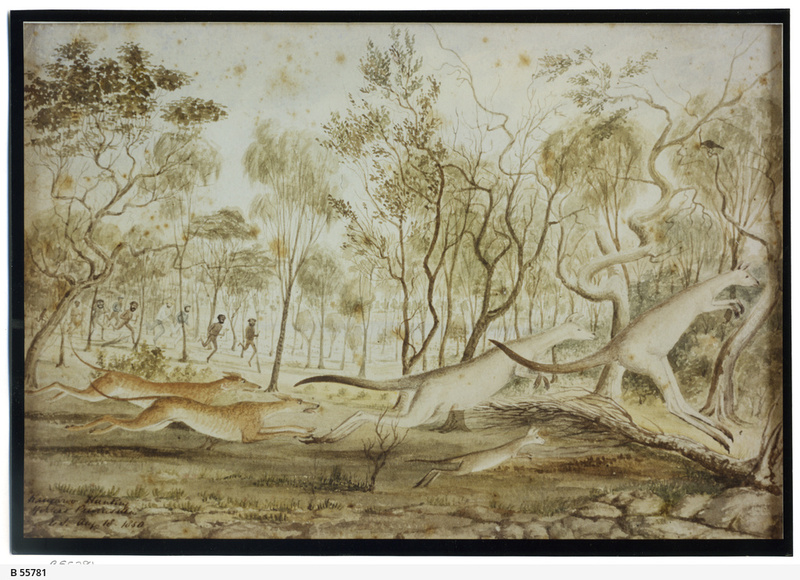 The Narungga consisted of four clans, Kurnara (north), Windera (east), Wari, (west) and Dilpa (south). It is believed that the Narungga maintained large settlements along the coast throughout much of the year. These coastal camps would have provided a regular supply of food and fresh water, as well as a gathering place for social and religious ceremony. There is also evidence of smaller camps scattered throughout the Peninsula. 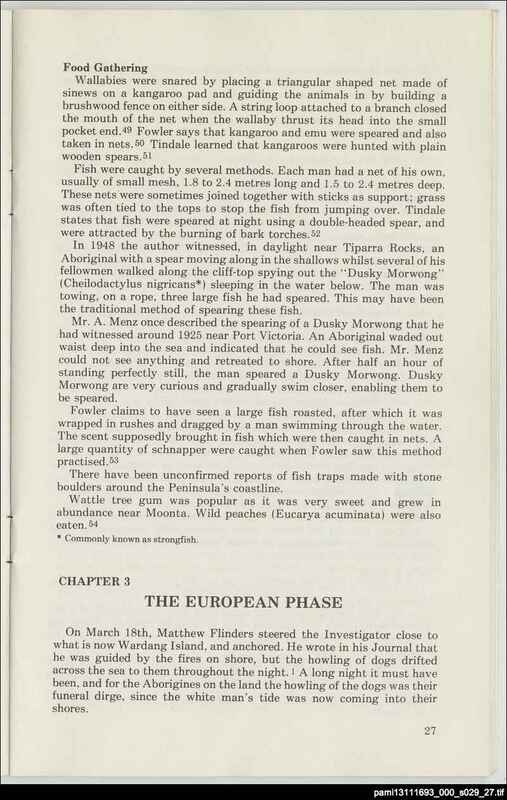 Archaeological evidence shows that the Narungga had campgrounds at the areas now known as Moonta Bay, Cape Elizabeth, Chinamen's Well, Point Pearce, Black Point, Point Yorke, Tiddy Widdy and Point Morowie among others. Tools fashioned from stone, bone and shells are found at these sites. 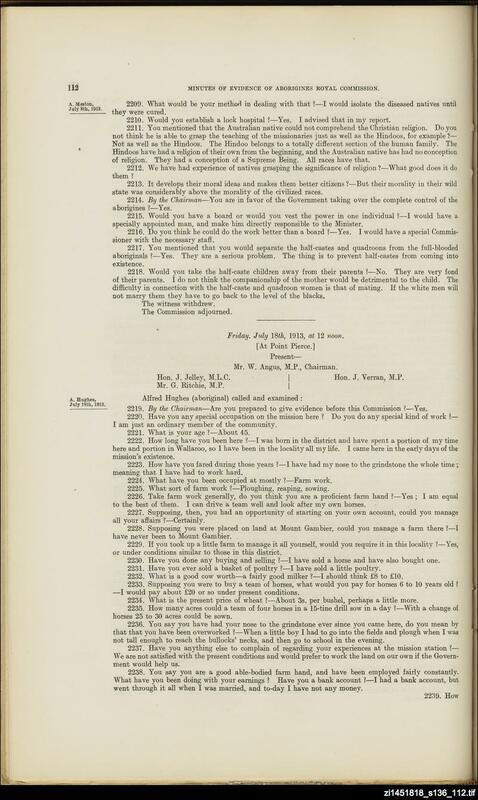 The first lease was taken out on Yorke Peninsula in 1846, and from that time there was much conflict between pastoralists and the Aboriginal population - over land, stock, and the most precious commodity, fresh water. 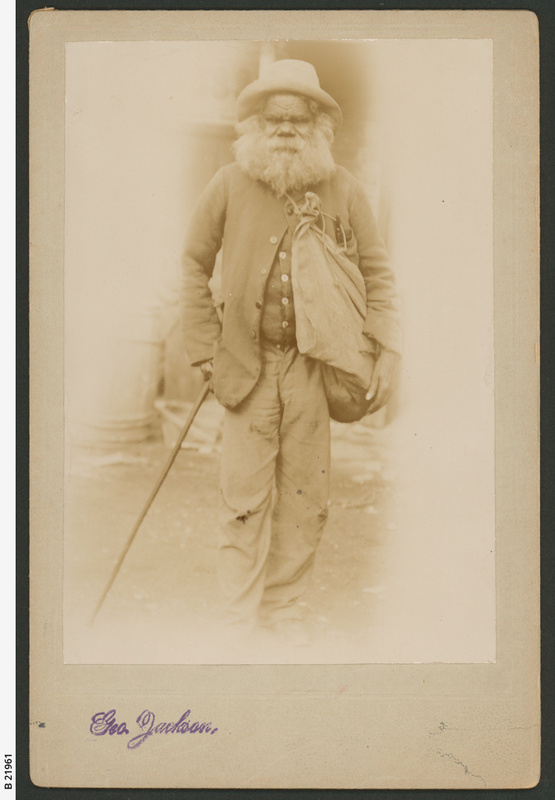 Cut off from many of their traditional methods of gathering food and water some Narungga found work with pastoralists, labouring or minding sheep. Others were supplied with water, blankets, flour or other provisions by stations or Government-run depots. In the years following colonisation, the remaining Narungga people lost much of the use of their language and cultural heritage. Once the Point Pearce Mission was opened in 1868, residents were discouraged from speaking their language and practicing their beliefs. 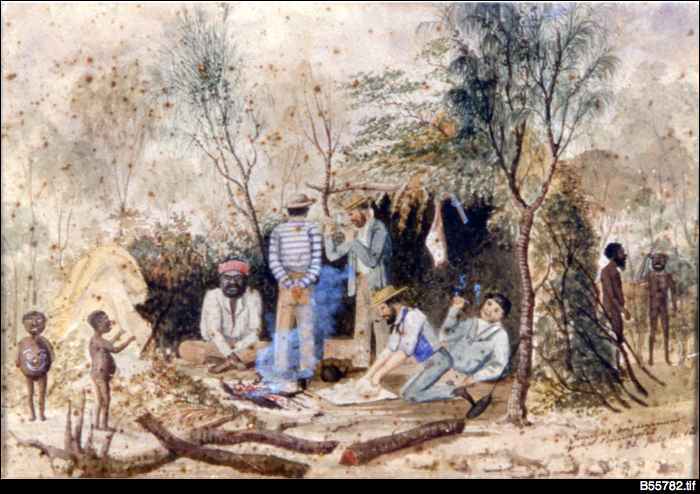 Some Narungga resisted the move to the mission and continued to live independently, off the land, or by gaining work outside of the Mission. These groups continued to speak their own language and practice their culture - but were reluctant to pass these on to Mission residents. 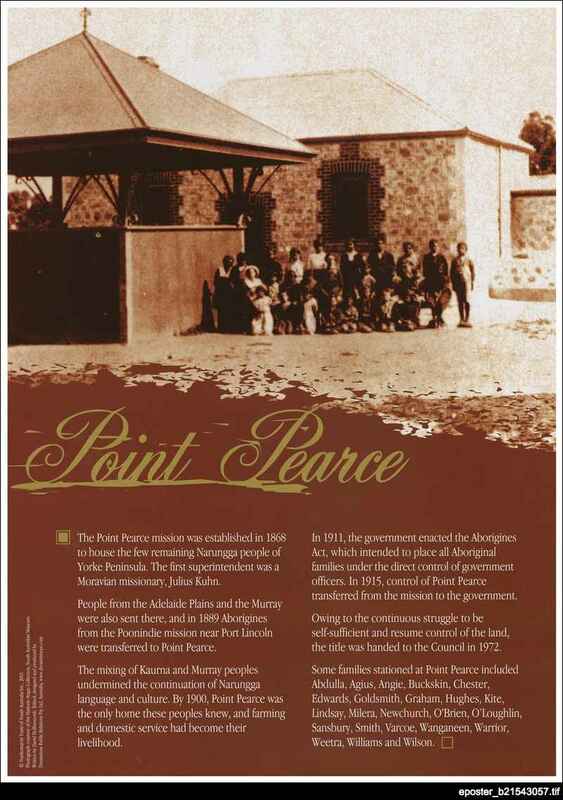 The cultural identity of the Narungga was also challenged when Aboriginal people from other language groups were moved to Point Pearce - most significantly after the closure of Poonindie Mission in 1894. 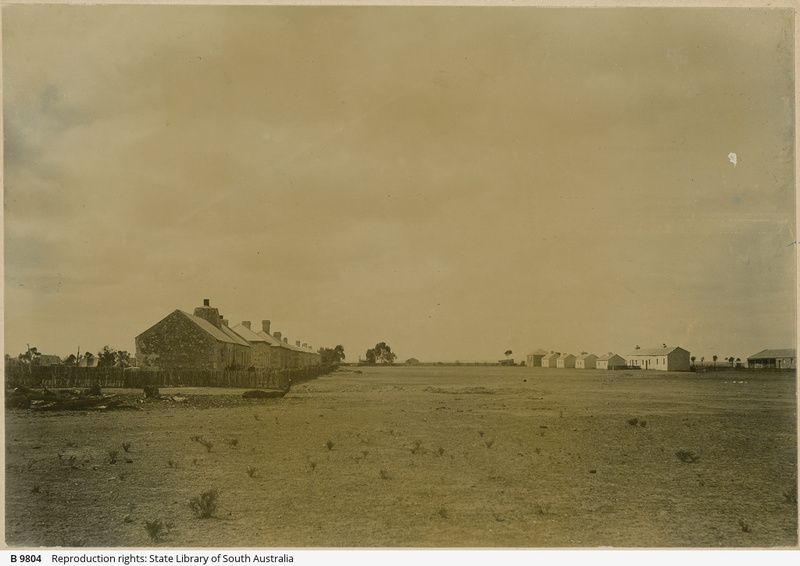 But the residents of the Point Pearce Mission maintained their community identity and fought long and hard for their rights to land in Yorke Peninsula. 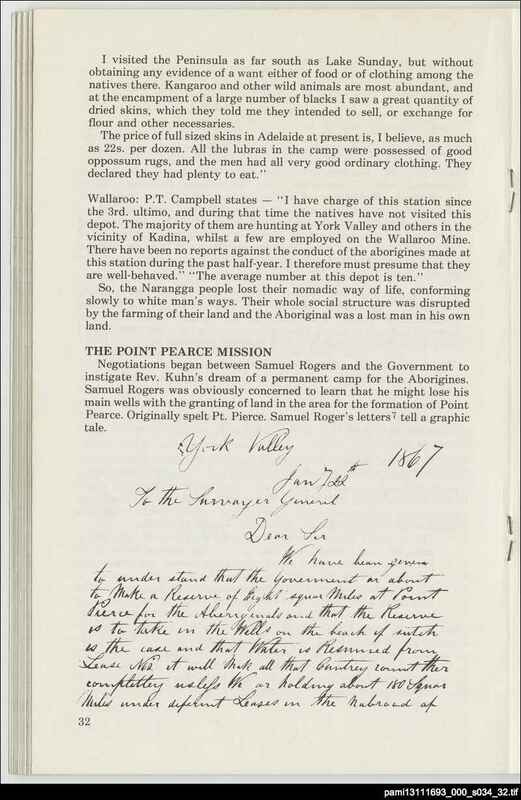 This entitlement was acknowledged in 1972, when ownership of 5,777 hectares was transferred to the Point Pearce Community Council under the Aboriginal Lands Trust Act. Today both the Narungga Aboriginal Progress Association, based in Maitland, and the Narungga Heritage Committee, based in Point Pearce, are working to continue and revive Narungga culture and language through education, tourism and cultural awareness training.